Ok .. so I'm a bit obsessed with Blaas .. and why wouldn't I be .. one of the most beautiful breads in the world. Making them might become a career for me yet .. only a couple of places left in Waterford making blaas! 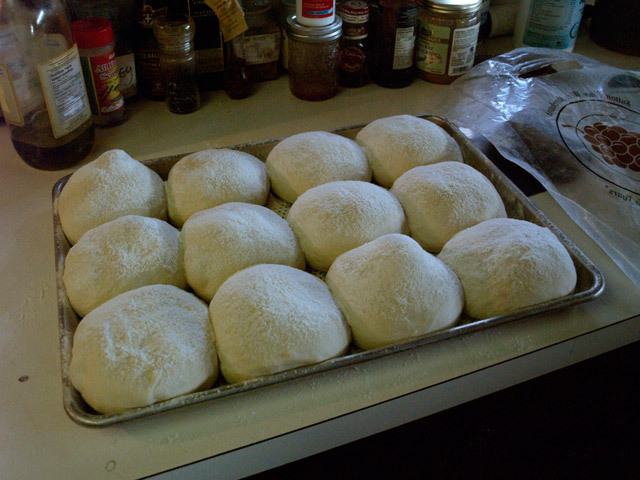 So this is going to be my definitive blaa recipe. The last time I posted about them I had only made them once. 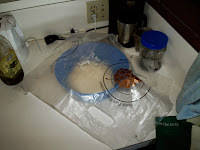 I have probably made nearly ten batches of them since and they've been getting better every time til I feel confident in putting this out on the blogosphere as a final recipe. This makes a dozen blaas and is measured so that you can fit the 12 on a normal large baking tray and they will join together as they rise same as they came from Harney's back in the day. 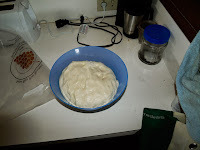 Mix the yeast with lukewarm water and add the teaspoon of sugar in there as well. Let that rest for a minute or two and give it a stir to make sure tis mixed all the way through. Add this yeast/water mixture to the flour and salt. 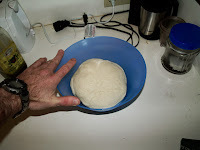 Get a large bowl (plastic, steel .. doesn't matter) and rub the inside surfaces with a little bit of olive oil to stop the dough sticking to it. 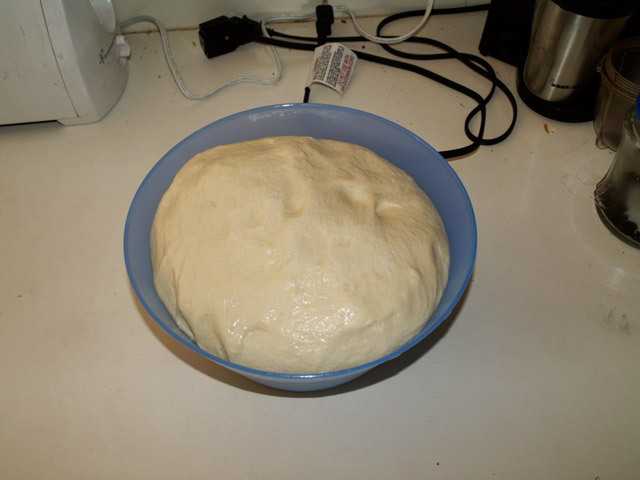 Put the dough in there and then cover with a clean tea towel or some plastic. 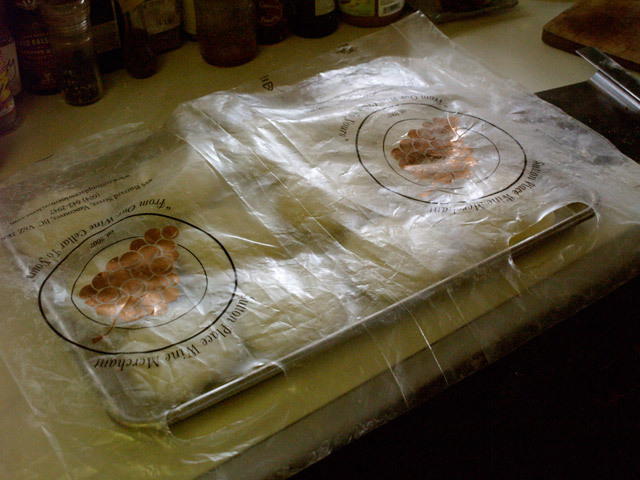 I use a fairly thick plastic bag that I brush with some more olive oil and it works really well and I can use it over and over again. Important to note that if you have a really cold kitchen or you accidentally used cold instead of hot water for the dough then it may not rise as nice as you'd like. If this is the case then just leave it for longer .. it should be about twice the size you started with in the bowl. 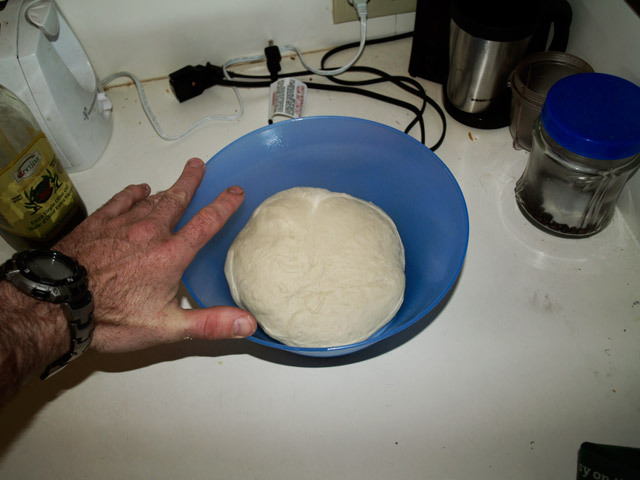 After one hour press down with your fingers to force the air out and give it a wee massage to get the yeast activated again. Don't really heavy on it. Just push down on it and massage it for about 3 seconds and that's it. After this time it should come up to about the same size it was after the first rise. 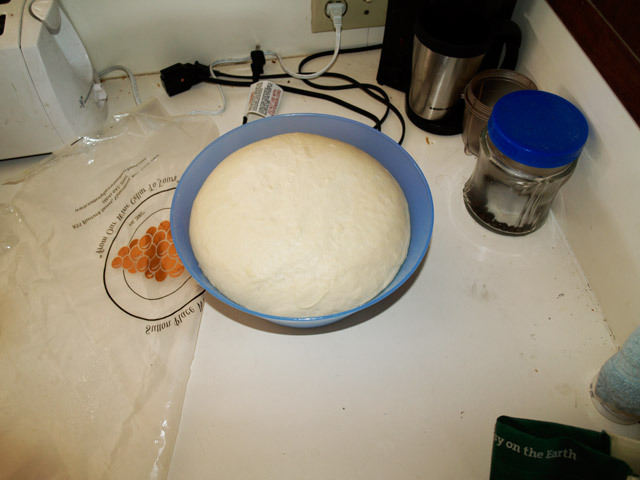 Tis now time to divide the dough into a dozen. 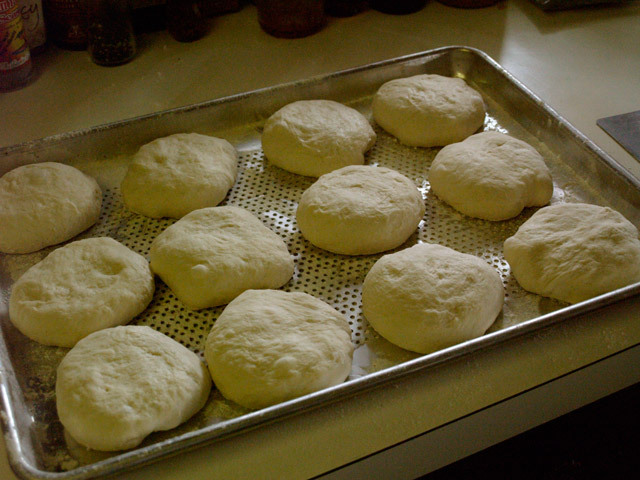 Using a weighing scales or your eye if you don't have a weighing scales, weigh out 125g to 130g lumps of dough. 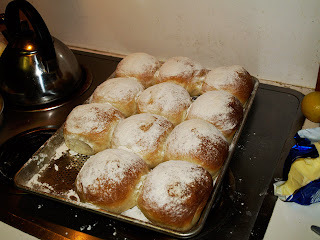 Roll them into flattened balls. The traditional blaa isn't like most rolls and doesn't have a big dome top but more of a flattened shape. Flour the baking tray and lay them out like in the picture with the spaces in between. Allow to rise for between 2 and 3 hours. This is an awful long time to be waiting so do please hack into these on a day when you're home early from work or not working at all. The total time from start to finish is probably about 5 to 6 hours. Before you stick them in the oven you can dust the whole lot down with flour (my favourite) or if ya want a crusty blaa then either put a bowl of boiling water in the bottom of the oven or oven the door after 5 mins and ten mins and spray the blaas with a mist of water. Cooking time on these is about 15 to 17 mins at 425 degrees F/220 degrees C.
I had these with a stew I made last night and then had them with Jalapeno crisps today .. both are recommended. Thanks for the post. I hope to make some this week. If you make the dough the night before can you forsee any problems with the result if you bake them next morning ? Thanks - just started then now. Proofing as I speak. Thank you so much for sharing this recipe. There's nothing in the world like a fresh blaa, but sadly I'm much too far from home to get them at the local shop these days. Thanks again!